This week we are talking about business beliefs – AKA – She Believed She Could So She Did! 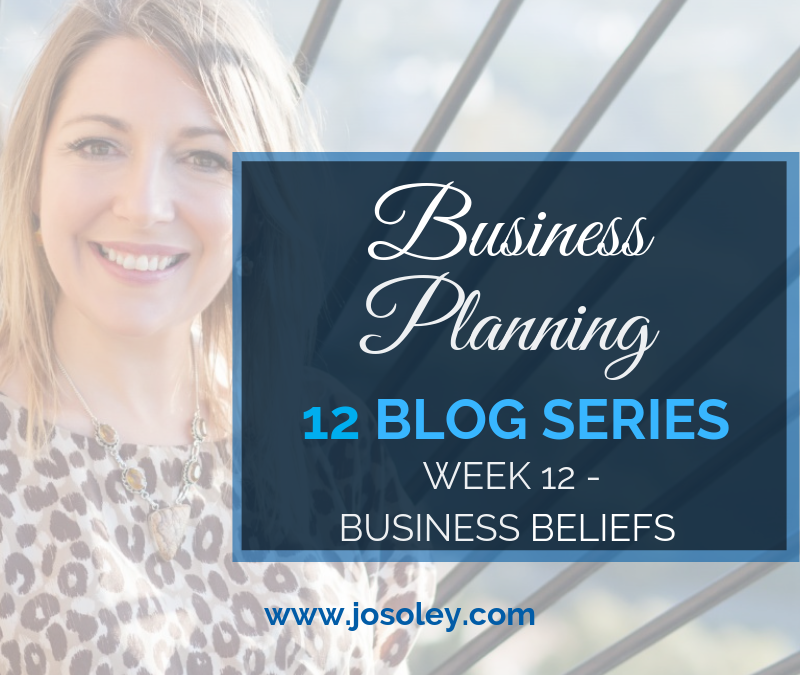 Through my business planning blog series over the last 11 weeks, I have connected you to 11 areas in your business. You have the basis to create a plan. Some of you will. Some of you won’t, as it’s not that simple! As it is often easier to resist and freeze than step into the unknown of possibility, to feel almost comfortable in our limitations. Sometimes it feels easier to doubt our abilities than doubt ourselves trying. Deep down we know the falsity of this way of thinking, however awareness sets you free, so be mindful of this and tap into your spirit of adventure and courage. When we goal-set we tend to focus on the WHAT – look over your business goals and ask yourself WHY are you doing this? What will it bring you and why is that important? We can easily become distracted by the to-do-list, emails, texts, face book messenger, whatsapp – and the other millions of ways we are now contactable! Stacking a series of small tasks or actions together allows you to create a routine which can then easily be repeated, making this an efficient use of your time. I do this throughout the week, so on Marketing Monday – I focus on getting my marketing out in the world and planning client work, Tuesday – I serve clients face to face, Wednesday – I serve clients on Zoom, Thursday I have events and speaking gigs, Friday I have sales calls and do my finances … obviously there is room for movement – but working in one energy for one day is powerful as it allows us to focus. To be everywhere is nowhere – ask yourself what I am going to achieve today. I write 3 MIT’s … 3 Most Important Tasks. What are the 3 most important things you can do today to take you closer to your goals? Do these before you do anything else. Here is when it can get tricky – when we are so close to finishing something this is sometimes when we stop! As we fear success much more that we fear failure. Crazy huh! Awareness of this and perseverance to keep going to finish what you started is super powerful. Stick to your resolve and remember when it’s done to stop and enjoy the moment, assess and process all that you have learnt along the way and thank the people who have helped you get there. Grab your journal and let’s look at the things that may stop you from getting your goals achieved this year. Do you want to rewrite your web copy or launch a new program but you feel you do not have the time, money, confidence etc …? Write down, for example … ’I can’t launch my new program online as I do not have the technical ability’. Reframe this to … ‘I am going to reach out to a few tech VA’s who can help me do this and research a few platforms and plan the space in my diary to do this’. Now go and set your goals! 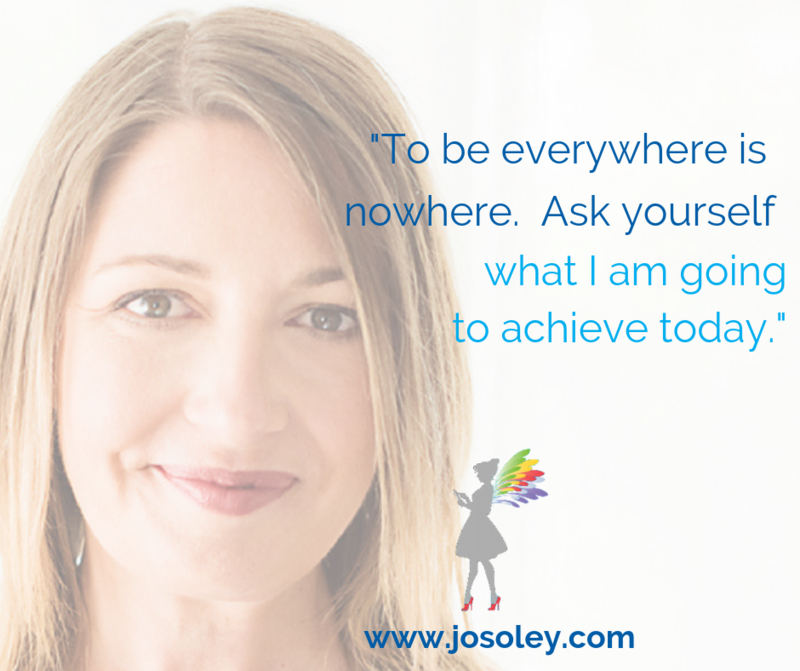 If you feel you are juggling too many balls in the air at the moment and would be able to achieve more with a little help to get clarity on your marketing and business contact me on jo@josoley.com, send me a PM or call 07718123229 to book your discovery call. See you next week for a bonus week, we will be looking at the power of your personal years from a numerology perspective as there are better times and better years to do things! What personal year are you in?